Hudson Yards is a 28-acre neighborhood that is being built in Manhattan’s West Side. With phase one of the urban development set to open 2018, the site is expected to be the next city center of New York. 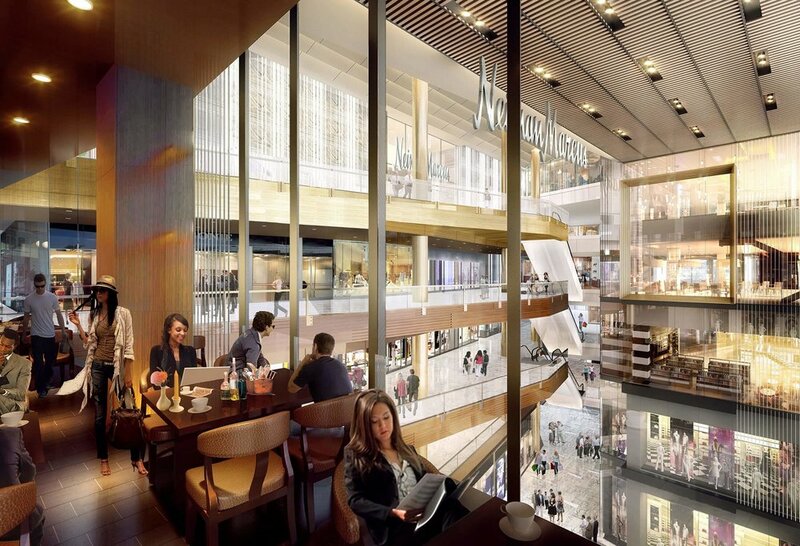 Not only will Hudson Yards have commercial and retail spaces, but it will also boast residential and public areas in order to appeal to locals and visitors alike. "We're all those things rolled into one, and it's that rolled into one that will give it its dynamism. Every New Yorker will have a reason to go to Hudson Yards...," Jay Cross president of Related Hudson Yards told Inc.com. The idea for this neighborhood is to have multi-purposed buildings where people will be able to live, work and play. One of the reasons New Yorkers will want to visit Hudson Yards will be to experience all the dining options the neighborhood will provide starting March 2019. The latest hospitality giant to sign on is London-based rhubarb, with two major eateries to be located at the Related Companies and Oxford Properties Group’s complex development employing over 250 people. While the British hospitality group may not be well-known in America, it runs operations in renowned parts of England. “We operate at locations like Sky Garden [at 20 Fenchurch Street] — a three-level restaurant, bar and event-facility complex at the tower’s top. When we started talking to the Related team in March, it sounded like they wanted somebody with just those skill sets” P.B. Jacobse CEO of rhubarb told the New York Post. Apart from the two eateries —each located in two separate buildings (30 Hudson Yards and The Shops & Restaurants At Hudson Yards)— rhubarb will also run an indoor/outdoor bar on an observation deck located 92 stories high. The British hospitality group will be joining big names in the culinary world that are expected to serve delicious fares in Hudson Yards, including: David Chang, Costas Spiliadis, José Andrés, Michael Lomonaco, Juan Santa Cruz, Des Gunewardena and David Loewi. Aside from operating a restaurant at The Shops and Restaurants mall, Chef Thomas Keller is also the person behind the restaurant ‘curation’ taking place at Hudson Yards alongside Kenneth Himmel, president and CEO of Related division Related Urban.